Sunny Los Angeles, CA, a city filled with activities that range from sunny beach days, to strolls along the Hollywood sign. With so many things to do you are bound to need fuel, and I’m not referring to your car. 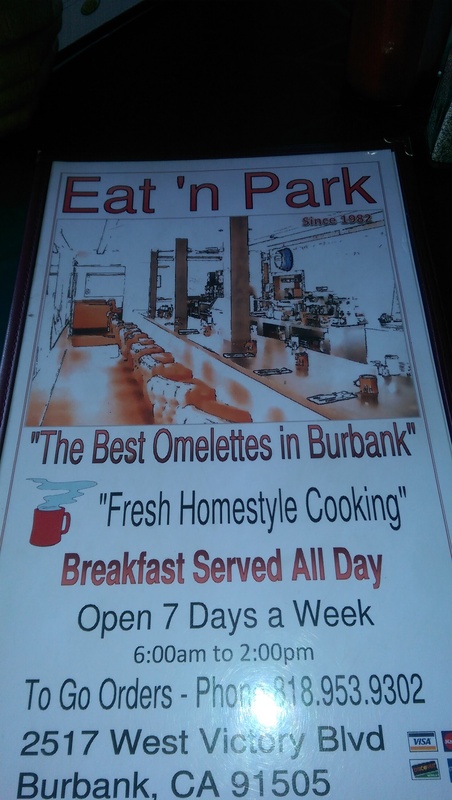 If you find yourself near the city of Burbank, in Los Angeles County, make sure to pay Eat n’ Park a visit. Started off your morning late? 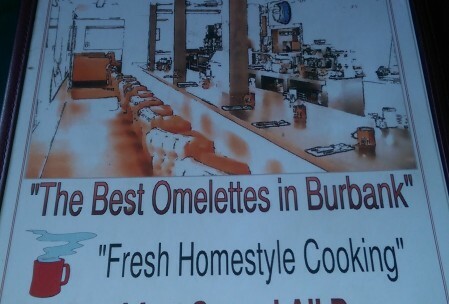 Don’t worry, they serve breakfast all day! 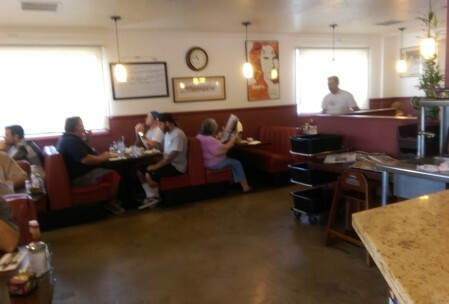 Eat n’ Park is a family owned establishment that serves freshly homemade American dishes. 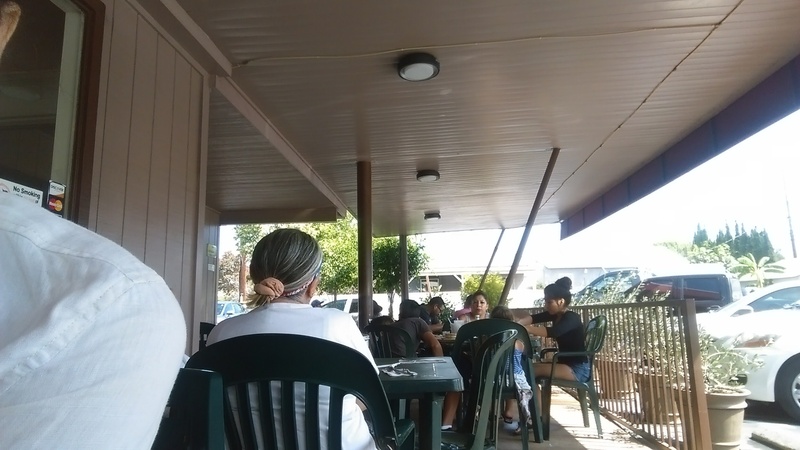 They have a friendly, welcoming environment with the option of seating indoors & outdoors. They also have a small selection of alcoholic beverages in case you want to accompany your meal with a mimmosa or beer. 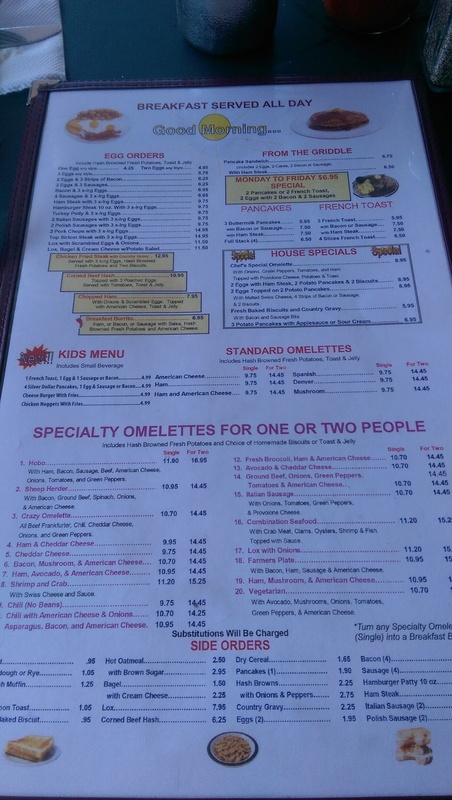 The highlight they place over their omelettes is not by any means exaggerated, any omelette on their menu is a must have. The best part about it? 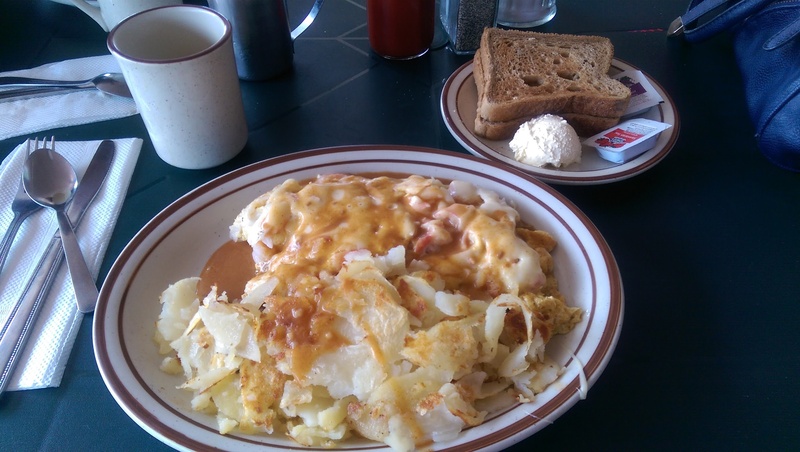 You can make your omelette for yourself or to share! 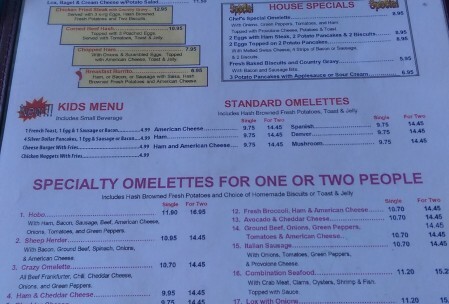 For $11.20 you can enjoy this delicious omelette. 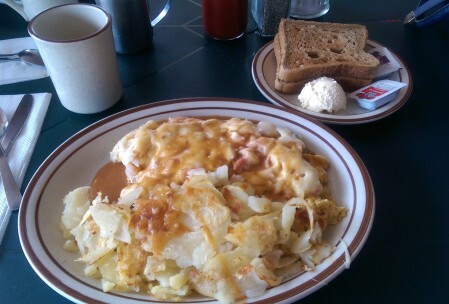 It comes with a side of warm potatoes & your choice of another side. My personal selection was whole wheat toast with jelly. The meal was worth every penny. Don’t be fooled by the name! Although this is not an actual sandwich it does come with all the necessary ingredients to create one. 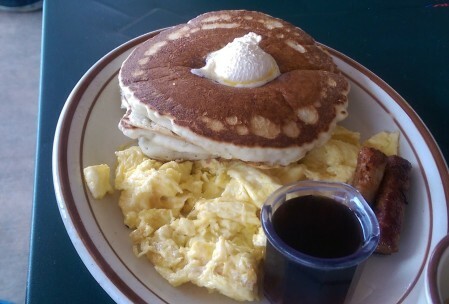 Two pancakes, eggs, and bacon or sausage. All for $6.75. Make sure you bring a big appetite. 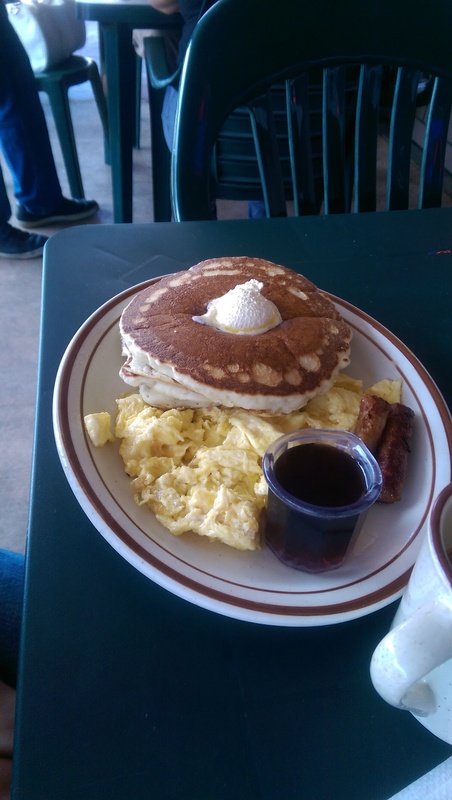 A pancake on it’s own is extremely filling! We walked in with a huge appetite & left extremely full. 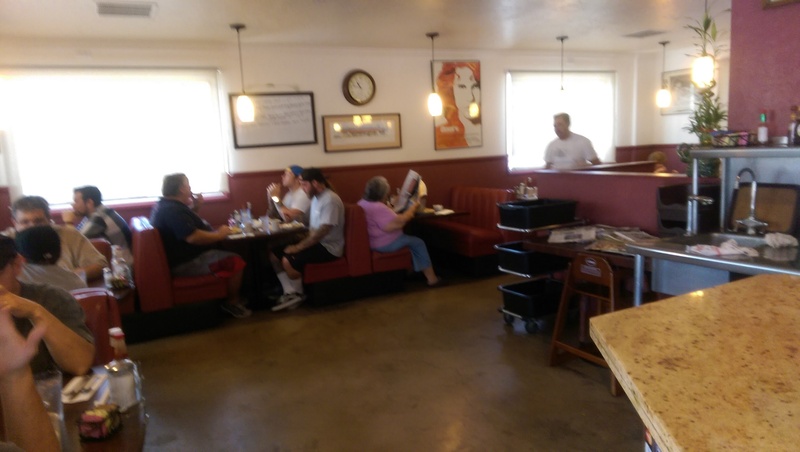 The service was fast and the manager was on site making friendly conversation with the customers. 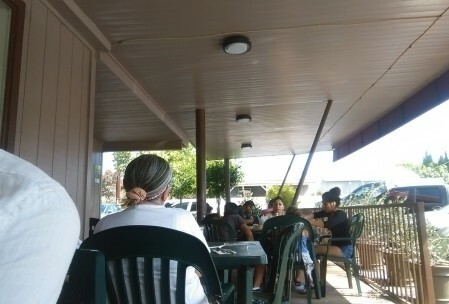 This establishment provides parking and there is bus access in case you feel like leaving your car at home. So if you’re in the area drop by for a delicious meal and conclude your day with shopping at the Burbank Mall which is just up the street!